It’s that time of the year when we’re faced with extremely cold weather and seek ultimate protection. This is a top priority especially for those enjoying outdoor activities. Speaking of ultimate protection, Timberland is a brand that needs no introduction. 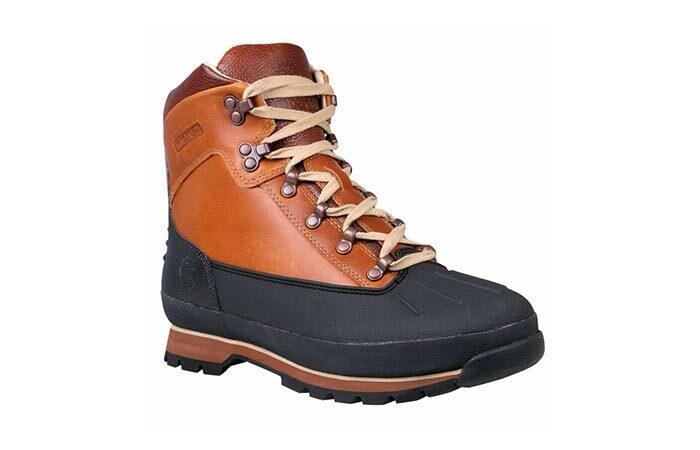 Inspired by European outdoors wear, they introduced the Timberland Euro Hiker Winter Boot. With 40 years of making outdoor gear, they know how to craft a great boot. The Euro Hiker boots feature a premium full-grain waterproof leather upper. This material makes sure that the boot is long lasting, but also comfortable and protective. The waterproof membrane ensures that your feet stay completely dry in all types of weather conditions. The membrane is also breathable, allowing moisture to escape while retaining the heat. 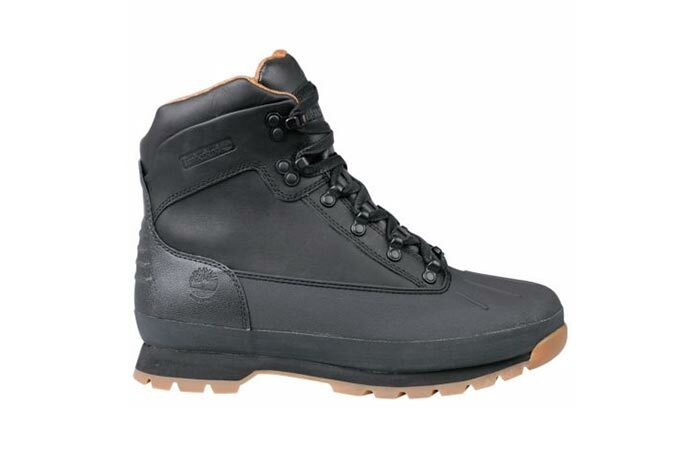 This Timberland boot will protect your feet in all sorts of weather conditions since it’s made from waterproof leather. More features of the Timberland Euro Hiker Winter Boot include a direct-inject TPU shell toe that provides additional protection as well as a fully gusseted tongue that will keep out debris. EVA midsole is there for the comfort and steel shank for arch support. You can wear them all day long and still stay comfortable. The rubber outsole is great for going through different types of surfaces. Timberland included a few environmentally friendly approaches. First of all, for leather tanning process, they used only silver or higher rated tanneries. This is a grade they get depending on energy use, waste production and water treatment. As for the laces, they were made using 100% PET gained from recycled plastic bottles. Also, the outsole uses up to 34% recycled rubber. Speaking of the outsole, it will provide perfect traction on all sorts of surfaces. 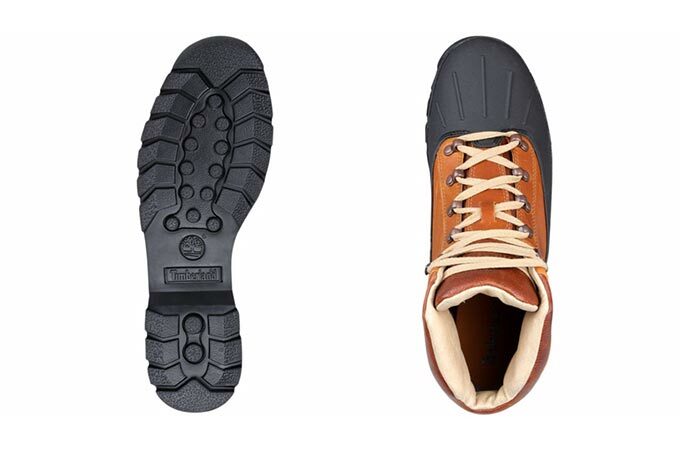 The last thing to know is that the Euro Hiker boot is available in black or brown and weighs 1 pound, 6 ounces per boot.